The Vikings feels like more of a textbook than entertainment. 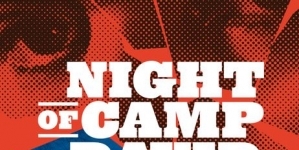 The writing of history for popular consumption is a painstaking process that requires both an incredible knowledge of the subject an author is approaching yet also a deft hand in relaying the nuances of that subject in an entertaining manner. Else Roesdahl’s The Vikings over-delivers in terms of authorial knowledge, yet doesn’t entirely succeed in terms delivering said knowledge in a page-turning manner. Originally published in Denmark in 1987, this third edition is dryly and unambitiously assembled, though the author’s engagement with her field is second to none. 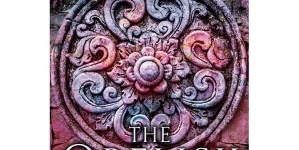 The Vikings starts out with a brief preface, two busy maps, and a short introduction before digging into a basic overview of the discipline’s sources. This overview is helpful, as it immediately establishes Roesdahl as an expert on her subject and also diminishes any concerns around speculation or fictive aspirations. Recent popular history books, particularly those with a political bent, have depended far more on the power of the author’s voice than their actual authority, and Roesdahl deftly navigates that problem by immediately exposing not only her sources but also by detailing her lengthy and consistent engagement with primary research in her field. 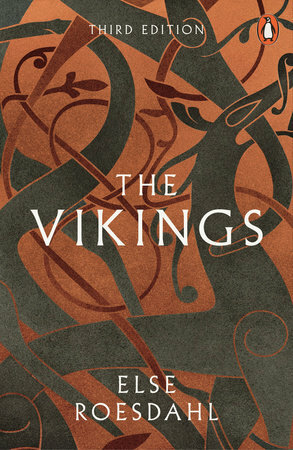 From there, The Vikings moves into dry but compelling geographic, sociological, cultural, linguistic, economic, religious and artistic overviews of Viking culture before leaping into the more exciting stuff, which was how the Vikings took to land and particularly sea to launch out into the world. While it’s all dense reading, the sections concerning expansion are more exciting as they contain information about many historical characters whom readers may have come across in either school or in other reading. A significant problem is that the illustrations and photography are portrayed unattractively, even sloppily, at times. 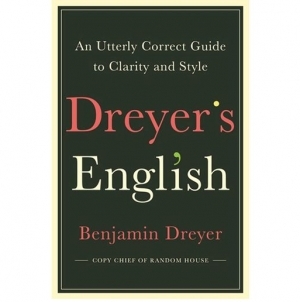 This dry and occasionally ugly presentation distinctly contrasts with both the undisputed authority of the author and her thoughtful arrangement of the written material. While what is always considered, the visual portions of the book feel tacked on. There’s also a missed opportunity in terms of discussing the influence of the Vikings on modern culture. Recent popular media – from television’s Game of Thronesand The Vikings to gaming’s most recent God of War to film’s How to Train Your Dragon series and many others – has made this a golden age of Viking-inspired work. Yet Roesdahl seems hesitant to dig into this media, or even to speculate as to why, culturally, there has been such a renewed interest in the ways of the Vikings. It this all seems a bit negative, there is plenty that The Vikings does right, starting with Roesdahl’s insightful and sensitive commentary on the subject. Roesdahl is more than an author; she’s an established archeologist and educator first, which goes a long way in terms of explaining the occasionally-stiff writing (which may also be a result of the translation process). 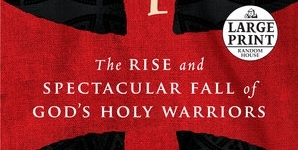 And, in addition to general Viking knowledge, there is genuine insight here, from the Viking influence on the spread of Christianity to its detailed discussion of primary and secondary sources. However, in the age of popular history writers like Stacy Schiff and Peter Ackroyd, respect must be paid to entertainment, or at the very least forward motion, which The Vikings mostly lacks. 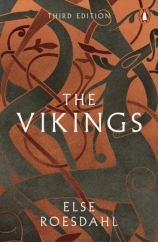 The authority of its author is never in question, but its failure to approach its subject’s influence on the culture of today and its rigid writing make The Vikings feel like more of a textbook than entertainment.